I have been around horses forever, having lived at Dee Farm my whole life. Even before I started Primary School at the age of 4 I used to go on the 2 hour beach hacks run by our riding school. I was lucky enough to have had ponies throughout my younger years, however, all of them were young, cheap and in no way schoolmasters. Looking back this was the best start I could have had to my riding career. 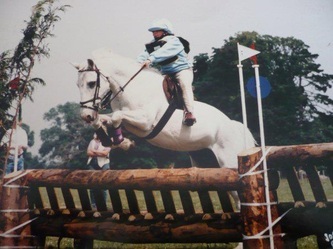 I competed in all Pony Club activities, gaining a full and varied education of riding, completing my first One Day Event aged 7. In my teenage years I was selected for all Pony Club Area teams, Dressage, Show jumping and Eventing. 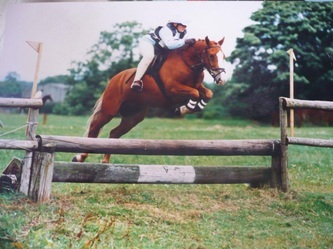 Along side this I competed in British Eventing on two 14.2hh ponies, winning and being placed at Intro, Pre Novice and Pony Club Open (BE Novice level). 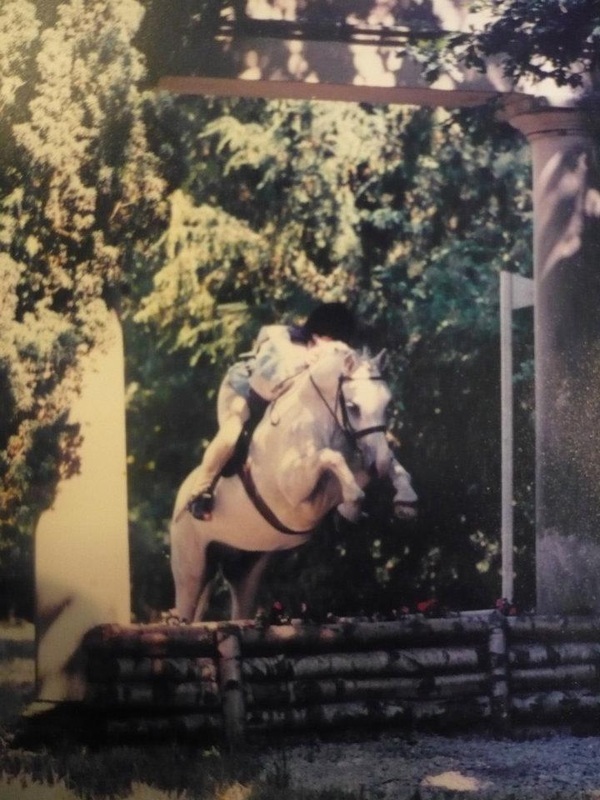 The results from these competitions led to me being invited to train with the FEI Pony Team and compete at Gatcombe Horse Trials. 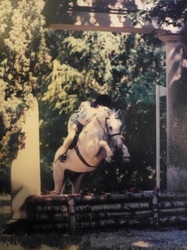 When my pony Major Wood retired I decided to have a change of disciple and focus on dressage. It was at this time that I began to train with Sue Bradshaw. This was also around the time I finished my A-Levels. After leaving school I went straight to Foxes Riding School to train for my BHS exams. During my 9 month course there I passed my stage 2 , PTT and Stage 3 exams with a 100% pass mark in the stage 3. 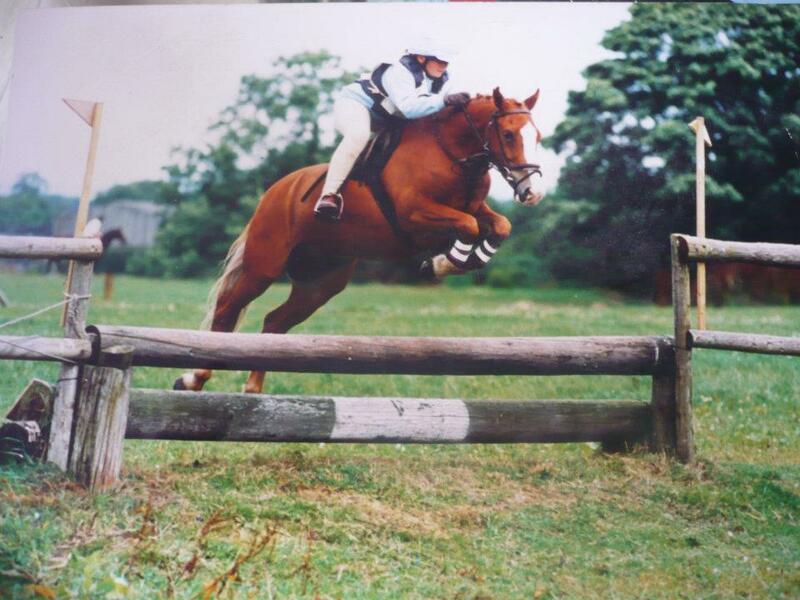 After leaving Foxes I trained as a working pupil for Sue, alongside working at Dee Farm Livery. 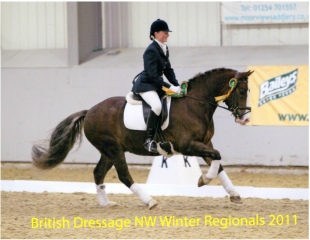 I gained valuable knowledge and experience from Sue, grooming at shows as well as riding and competing young horses and schoolmasters. After 4 years I left to concentrate on running the livery yard and producing my own horses. Since then I have continued to progress through the levels in dressage. As a result of this I have been accepted on to the list of trainee dressage judges. This have given me valuable insight into my own test riding but as also allowed me to help clients improve their dressage marks. I hope to continue with my judge training and become a listed judge very soon.